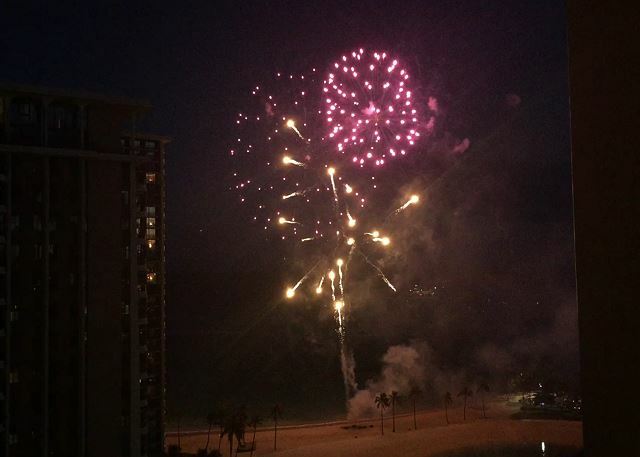 Enjoy Friday fireworks* from large lanai! 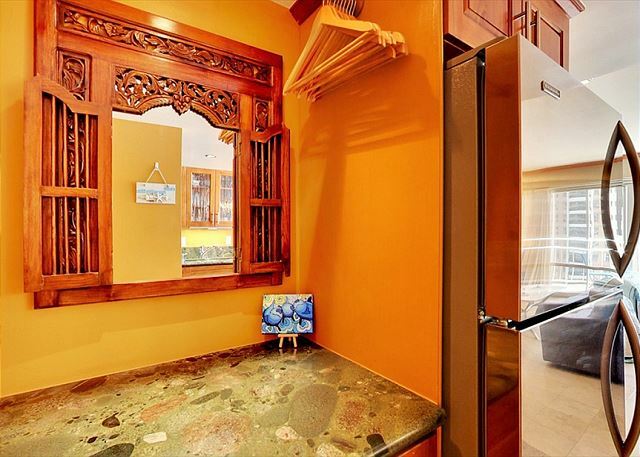 An old Hawaiian style with tile flooring, with flat screen TV and full kitchen with many cooking supplies. 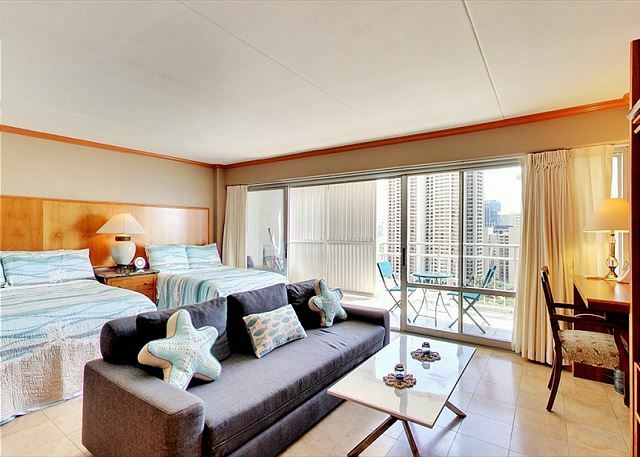 This unit includes 1 queen size bed, 1 full size bed and 1 sofa bed and can accommodate up to 5 people. 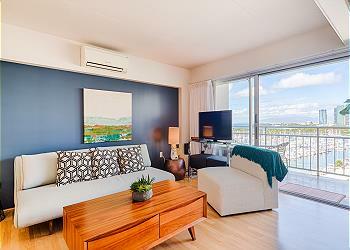 This unit also includes its own free Wi-Fi, a home phone which can make free calls within Oahu. It’s a short walk to the beach from the property. 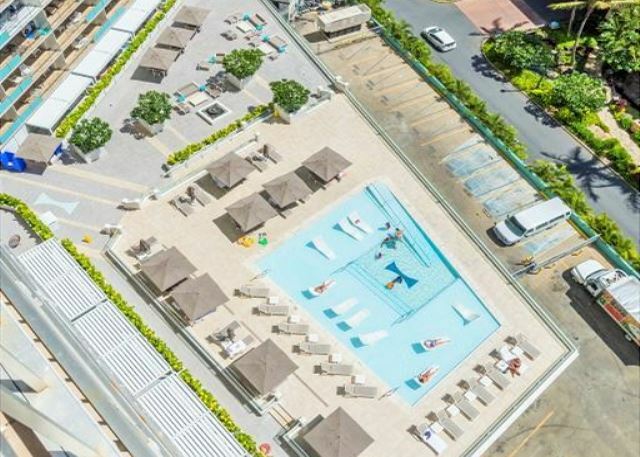 Pass the pool from the lobby and go down the ramp near the yacht harbor and you will reach to the beach near Hilton Hawaiian Village. 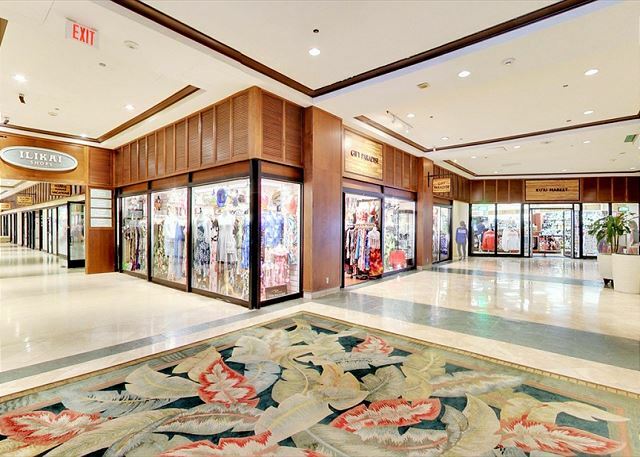 You can also walk to the Hawaiian Convention Center and Ala Moana Center, the largest outdoor mall in the country. Discount will be automatically applied upon estimate. 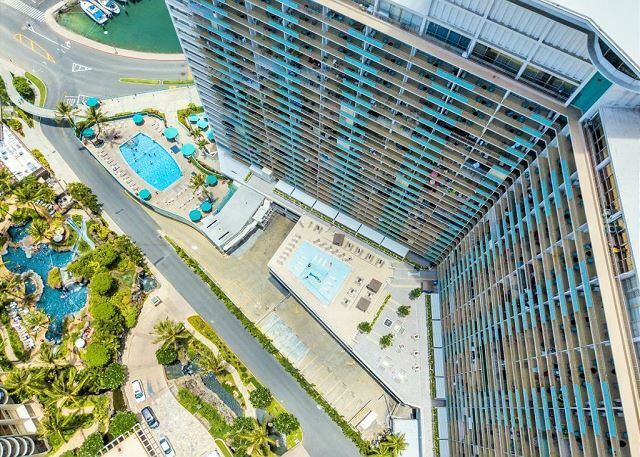 Paid parking is available on site, $28/day for Ilikai Hotel valet parking, or $23/day for Ilikai Marina’s parking (Price and availability may change). 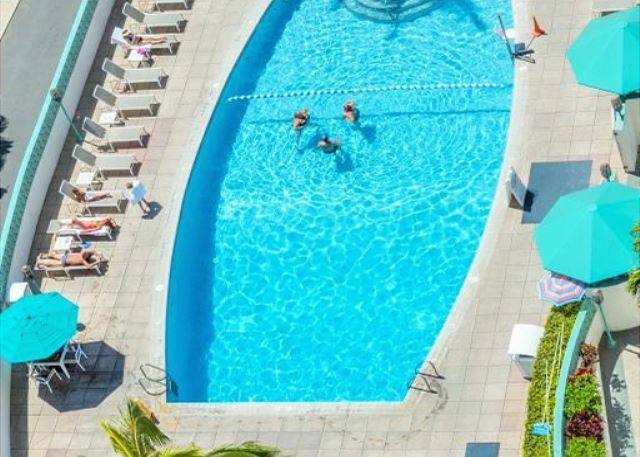 This property is a Hotel/Apartment with shops and restaurants within the property. We stayed here for nine days. Everything was as was described. 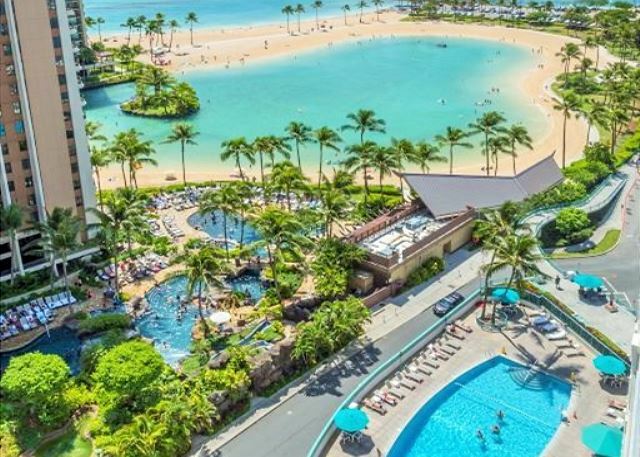 The location was nice for a family and the valet parking worked well in Ilikai which helped us to roam the island with our rental car. 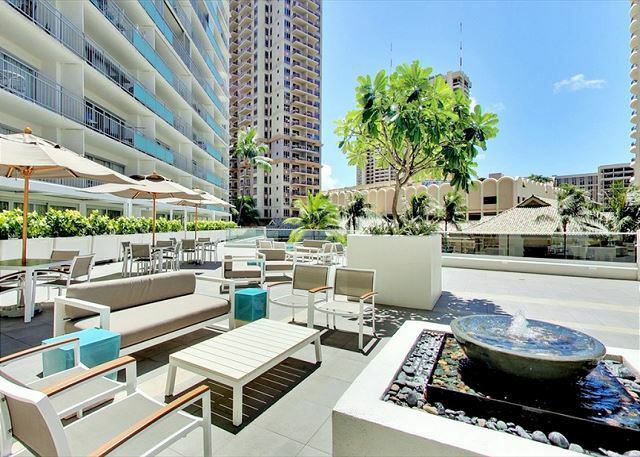 I would recommend this place for a stay in Waikiki. 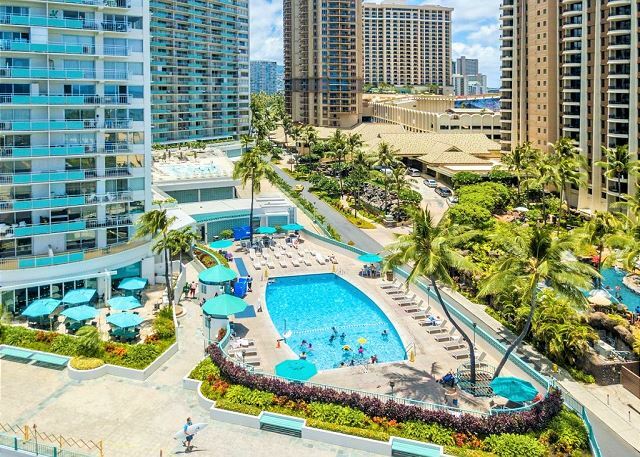 Our family of 4 stayed at the Ilikai for 8 days and it was the perfect locations, close enough to walk everything in Waikiki but a quiet enough to relax. Our only negative comments is that the lighting in the bathroom is poor. 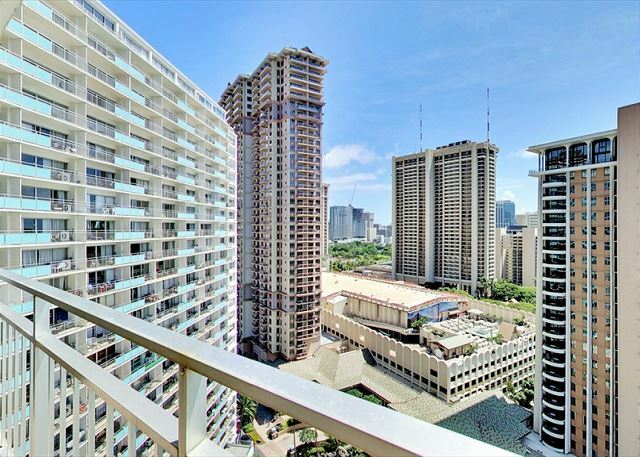 Great condo, great location. 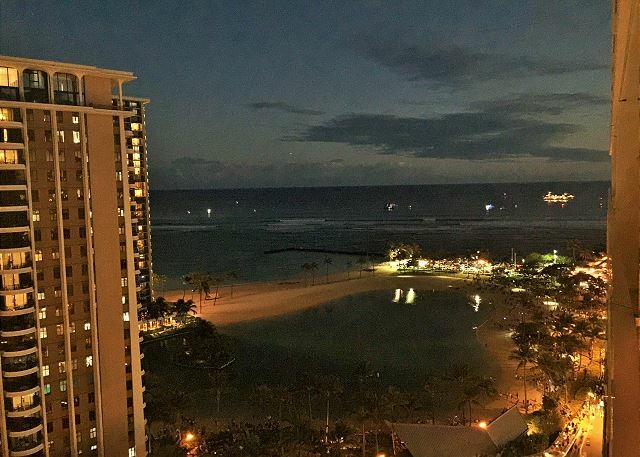 Amazing view of lagoon, luau and Friday night fireworks. Spacious enough for the 3 of us. 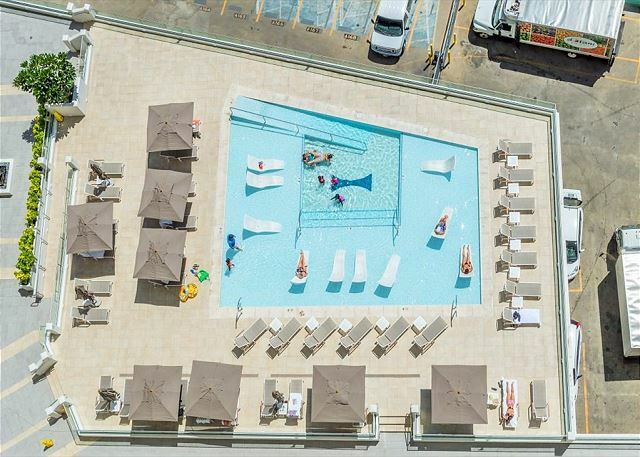 Amazing property and amenities. 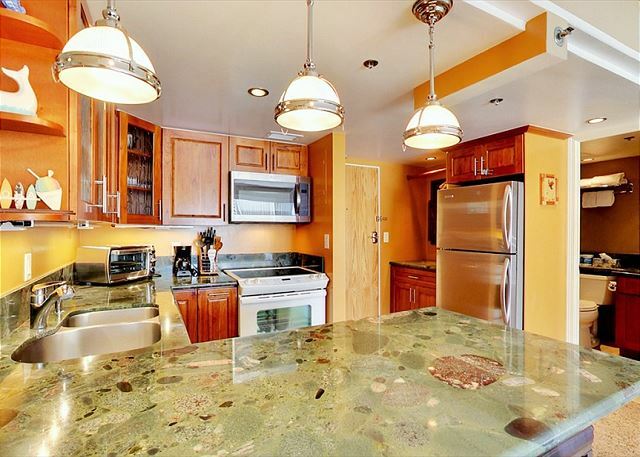 Condo was clean and had everything in the kitchen we needed. Exactly as seen in photos. 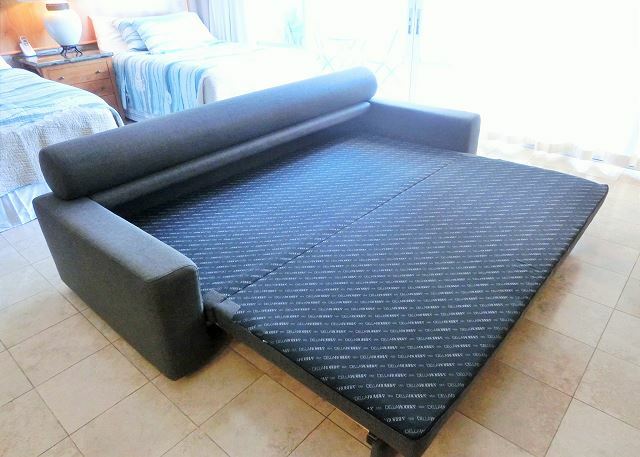 Couch being a pull out bed, is not very comfortable to sit on, lan'ai furniture is not very comfortable either. That's our point of view only though. Walls definately need some touch up painting and the front entrance door stays open, sticks open,unless you push/pull it shut. We would stay here again and recommend it to our family and friends. Mariko was so very helpful and provided excellent service. 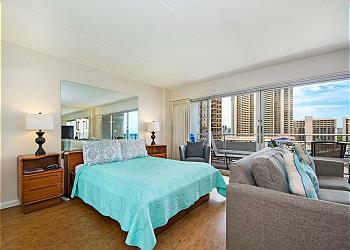 Couldn’t fault Myland Hawaii Realty on their professionalism and made our booking so simple! Thank you we had an awesome holiday! Would definitely recommend friends and family to contact you! 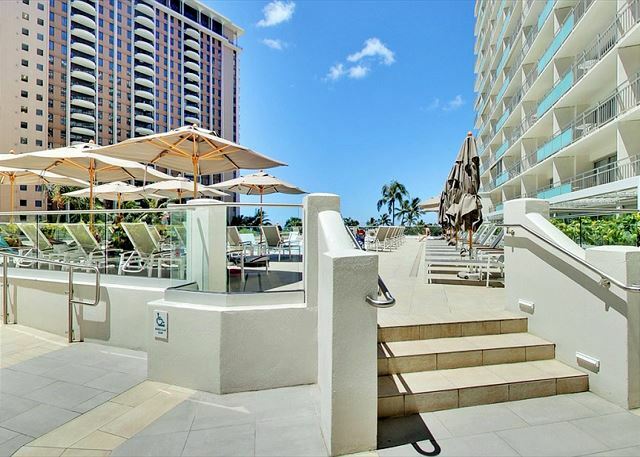 Great stay at Ilikai #1836. We had 4 adults staying in this room and had plenty of space. 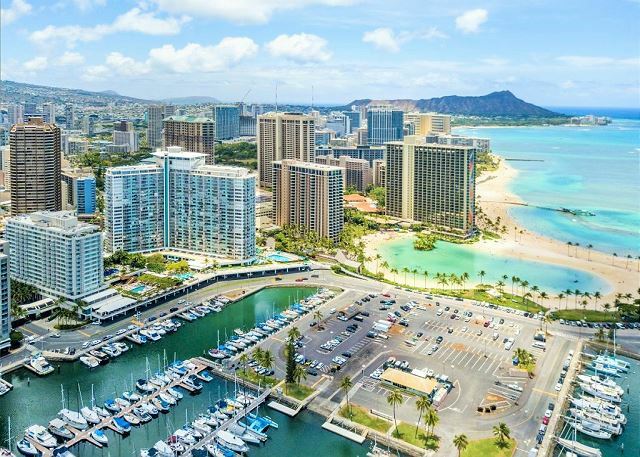 It had a great view of the lagoon/ocean, and it's right at the start of Waikiki so not as busy as other places. 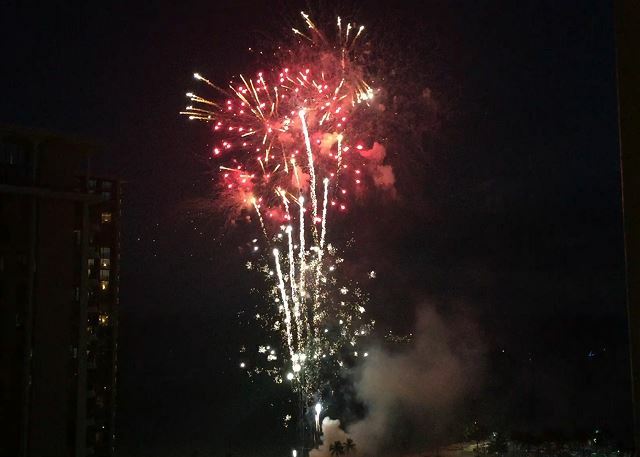 On Friday night we had a perfect view of the fireworks set off by Hilton. They even had beach chairs available to take to the beach! We had all we needed to have breakfast each morning - full kitchen with all utensils. Highly recommend this as a place to stay. 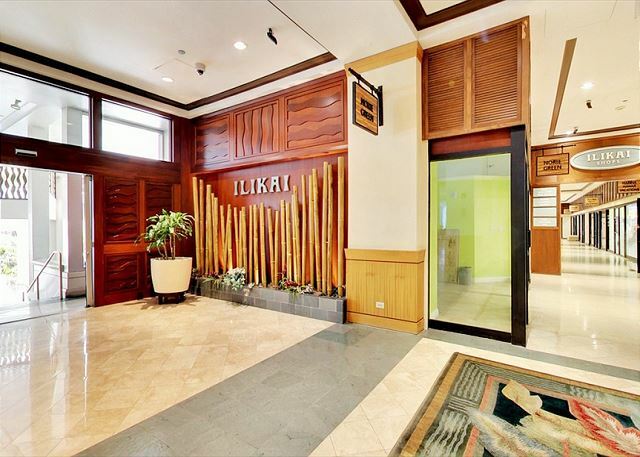 Ilikai itself seemed a little older, but no fault of this rental. Thank you for this wonderful opportunity to stay at apartment #1836. The view was breathtaking and exactly as the photos.very well maintained and close to stores and restaurants. 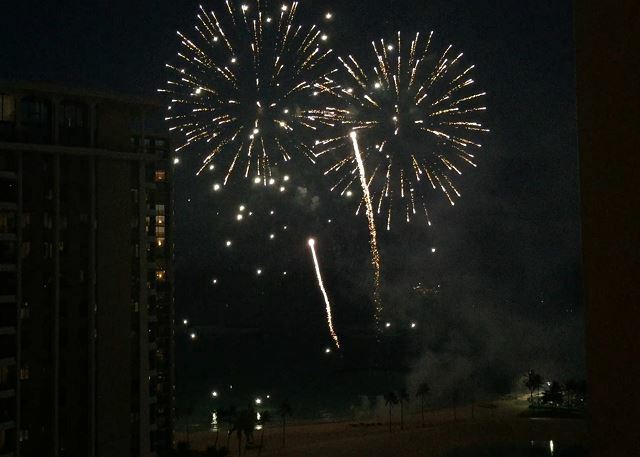 The fireworks view from lanai was unforgettable, the beautiful lagoon view was amazing. 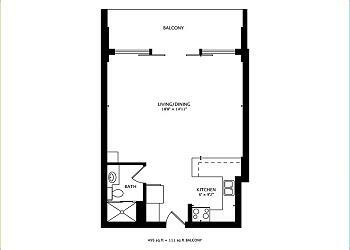 Overall great service and perfect location and beautiful apartment. 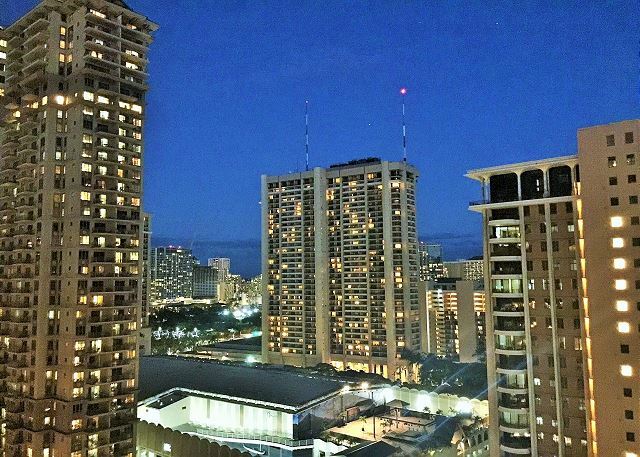 We just returned from a girls trip to Hawaii staying in Ilikai Apartment #1836 and had a fabulous time. 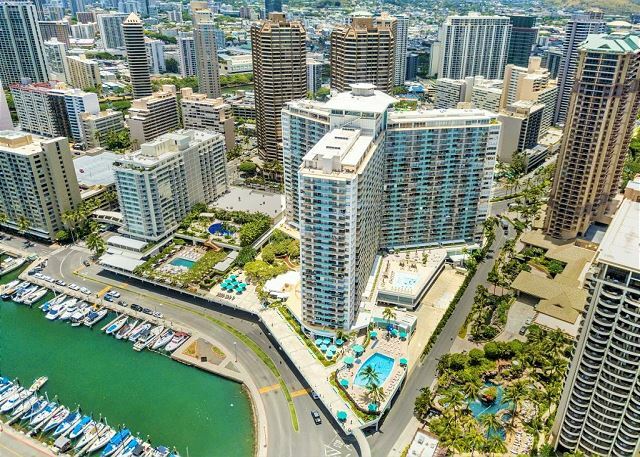 We had an amazing view out over the lagoon and beach which we enjoyed daily, great little kitchen with lots of bits and pieces, close to Ala Moana shopping centre and bus stop right out the front. 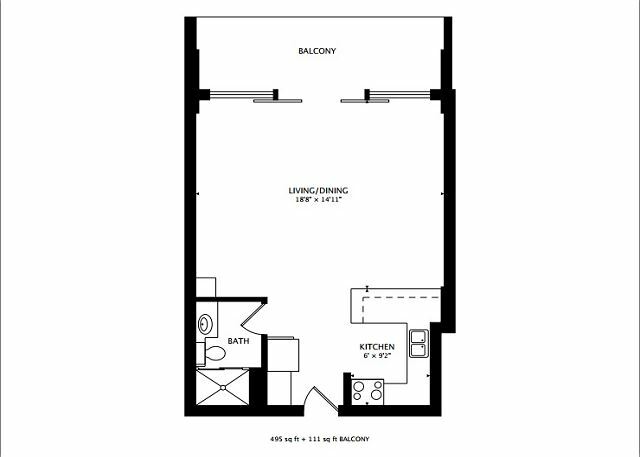 Would highly recommend to others wanting a great apartment to stay in! We had a great time. The apartment was very comfortable for three people. My friend and I enjoyed our stay in your studio! beautiful view! perfect location! 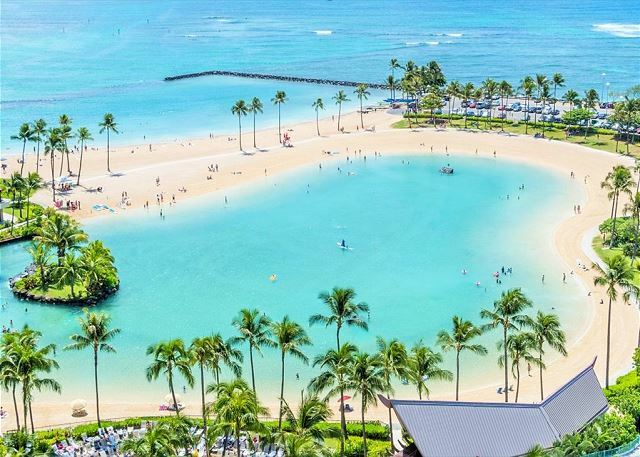 We would definitely return and stay here again! this was a very nice apt. great location great views. I would definitely stay here again. 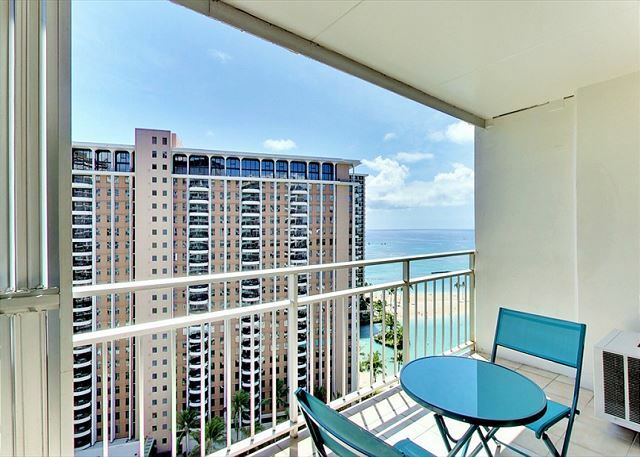 This is by far the best condo we have rented in the Ilikai. 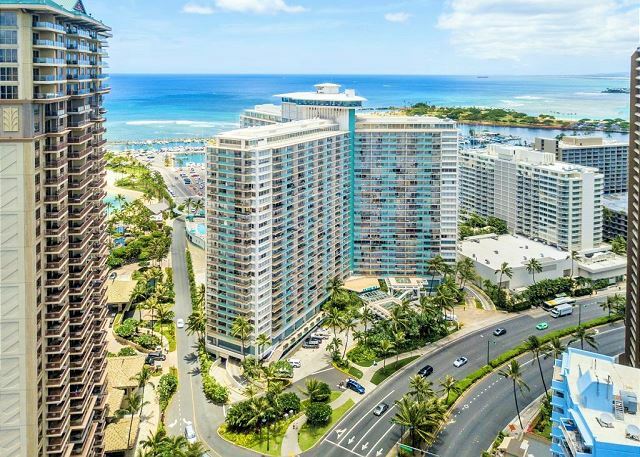 The process of renting was so smooth and Myland Hawaii Realty is very professional. They sent me all the info that I needed before my arrival to the room so that there would no questions or concerns. When we got to the room there was a neat handout and booklet welcoming us with all the info we needed from Wifi password/code to everything in once nice professional packet. The room is very modern with an updated kitchen and bathroom. The beds were very comfortable and the sleeper sofa was very comfy as well. We were a family of 5 and the condo was big enough for us. We loved, loved the view! 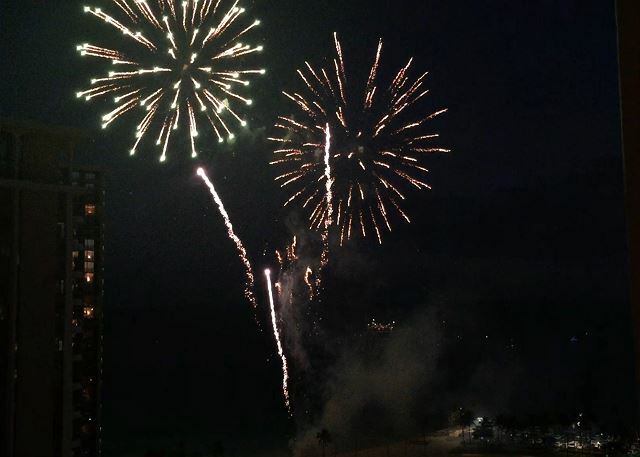 Best view of the fireworks, the lagoon and the ocean. 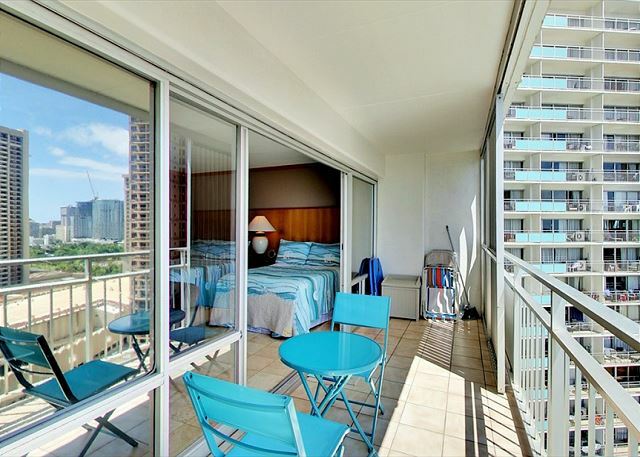 The lanai is very spacious with lots of room. 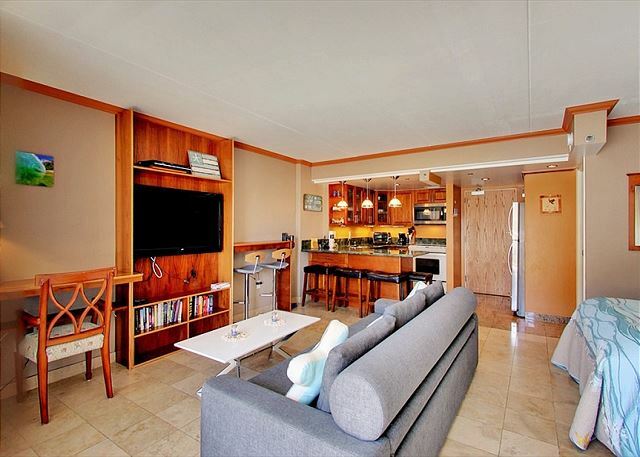 The kids loved this condo so much that they didn't want to go home. 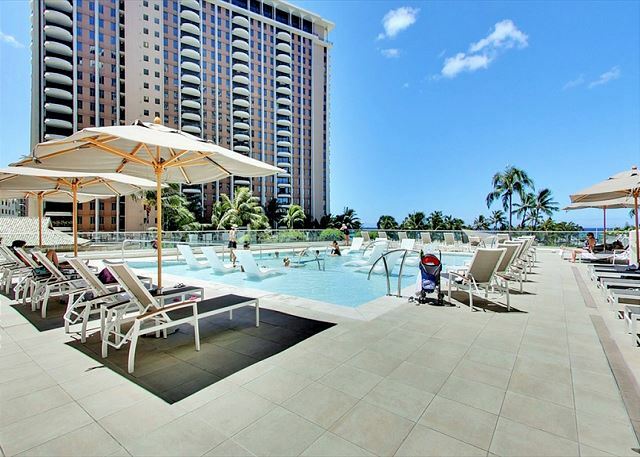 We will definately rent from this owner again when we visit Oahu. Can't wait to return! 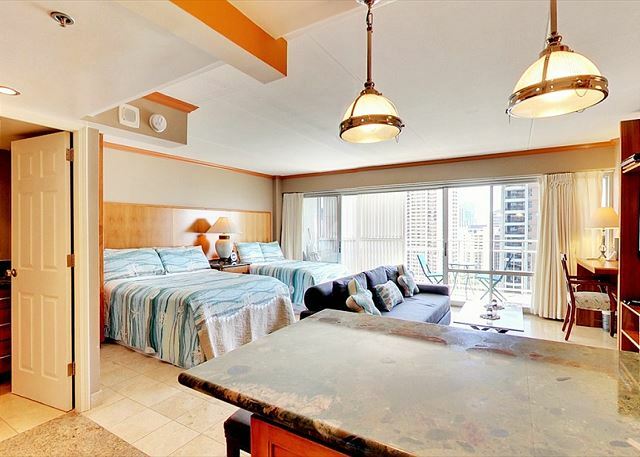 We had the absolute prefect stay in this condo! We had everything we needed and out was very clean. The pictures are very accurate and the coin laundry down the hall was perfect. Floor was quite and overall we really enjoyed our vacation! We only can afford to stay two weeks, but if we could we would like to have stayed at least another week. It was immaculate, with enough utensils for us to cook, altho that is usually only breakfast and lunch. 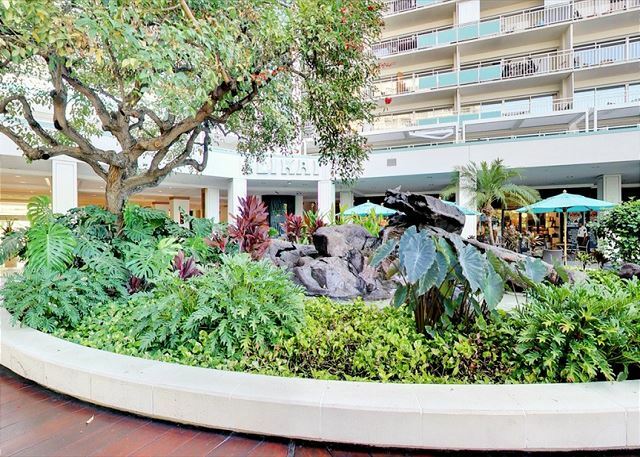 The view is wonderful and there is sun on the lanai until 3 pm for those who like sun. The beds were extremely comfortable. Storage was scattered but adequate. Lighting could have been brighter,especially in bathroom. Would be a tight squeeze for more than two people. Chesterfield was comfy. 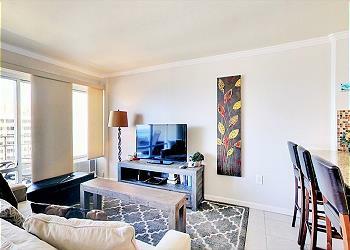 We were 3 adults and this apartment was perfect! 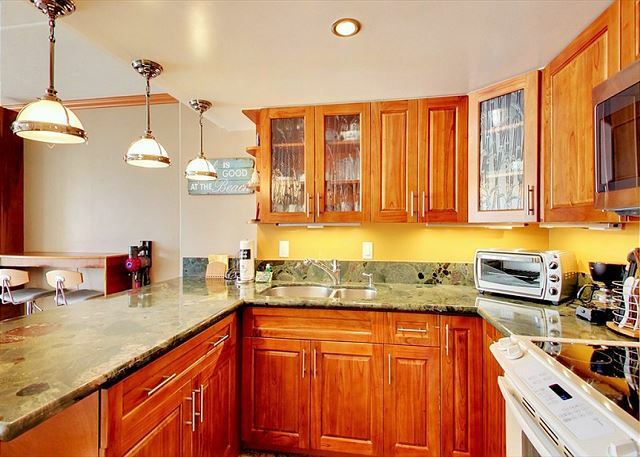 The full kitchen was super for preparing meals at home which saved us a lot of money. Beds are comfy, beach mats are convenient, and it has a great lay out. 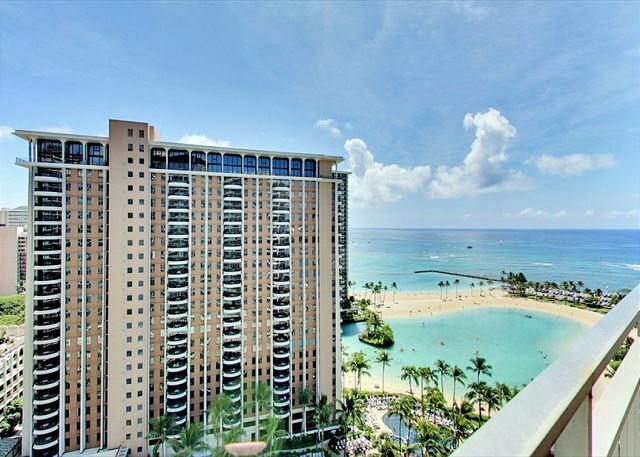 The Ilikai is at one end of Waikiki so if you like that end or you are fine with walking, the location is great. Also, the apartment door tends to stick if you open it wide so be sure to close the door when you leave for the day and then enjoy your holiday! Unfortunately the condo is VERY POORLY equipped. 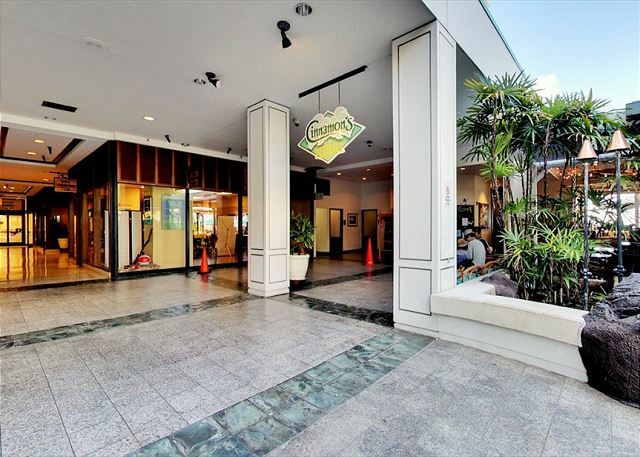 Lacks comfortable furniture inside and on lanai. Just no where to sit or recline. Kitchen needs a dishwasher and an ice maker and cutlery and cooking utensils. 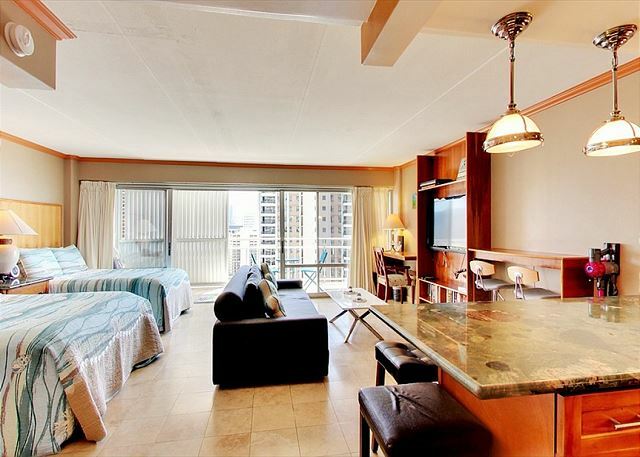 We were very pleased with room 1836 at the Iilikai Hotel/Condos. 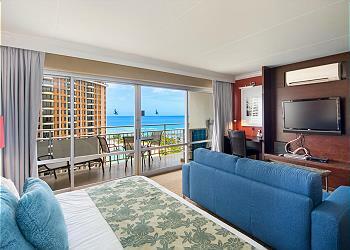 The room was clean and modern with comfortable beds. The pullout was large and worked fine for our son. 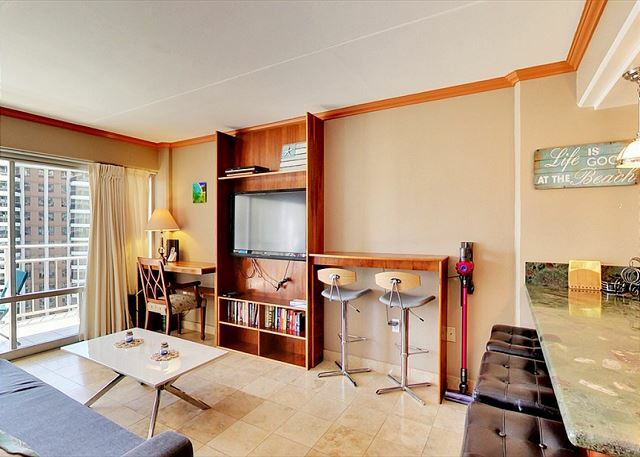 The room location was great with easy walk to beach and shopping. View from the room was great with AM sun on lanai and PM shade which was nice. Derek from Myland Realty was very helpful and checkin and checkout was simple. I would recommend this room and will keep in mind for future trips. What a perfect place to stay! 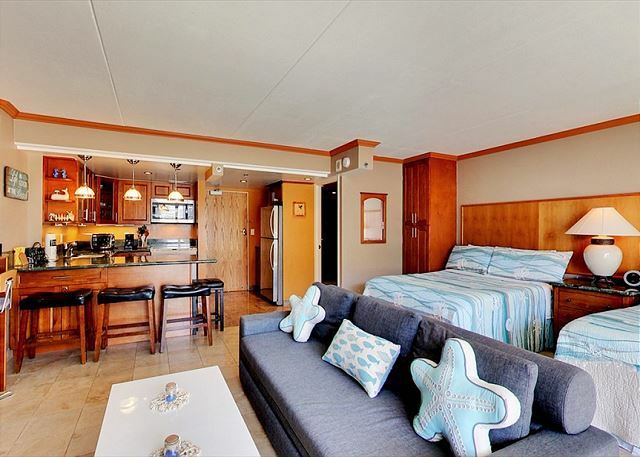 We found it to be very clean, updated, well stocked with the essentials for a great holiday! The beds were very comfortable. 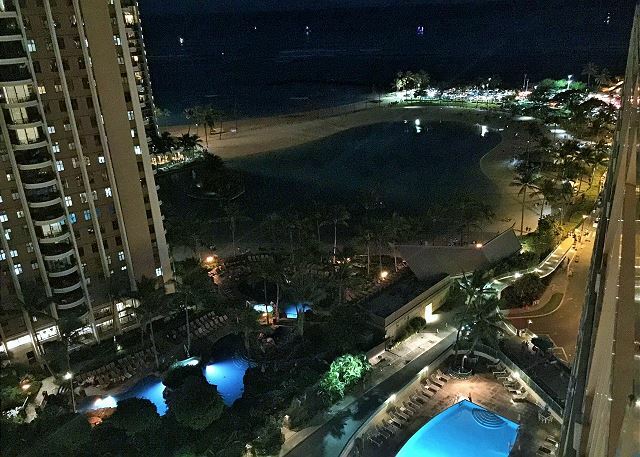 The view from the lanai was amazing! Myland Realty was great to deal with for booking. Will definitely be going back to #1836! Wonderful room! Nice view! Nice location! Clean! Comfortable! 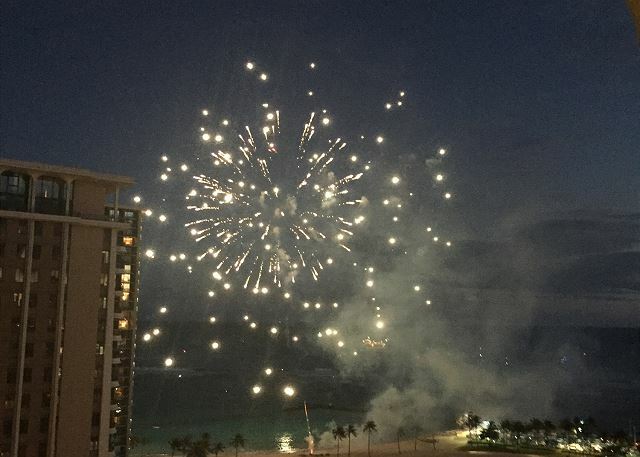 16th floor large studio with large lanai with ocean/lagoon/fireworks view. Clean and wonderful unit with Queen size bed and sofa bed. 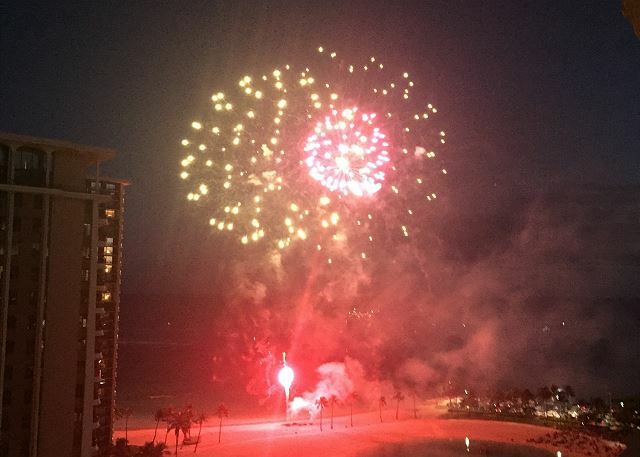 See fire works from your balcony for Friday night Hilton fireworks. 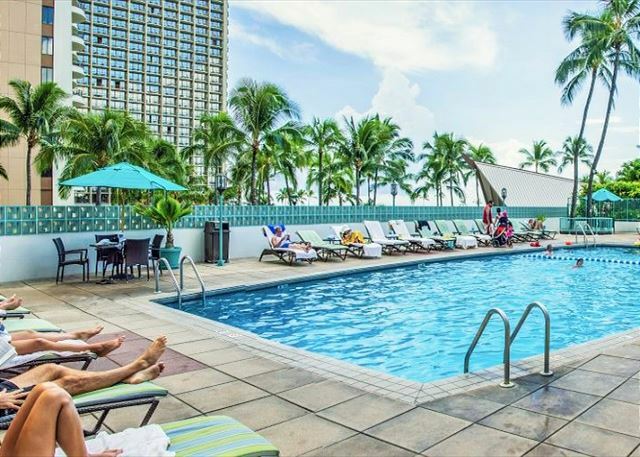 Located on the 10th floor of the famous Ilikai Hotel. 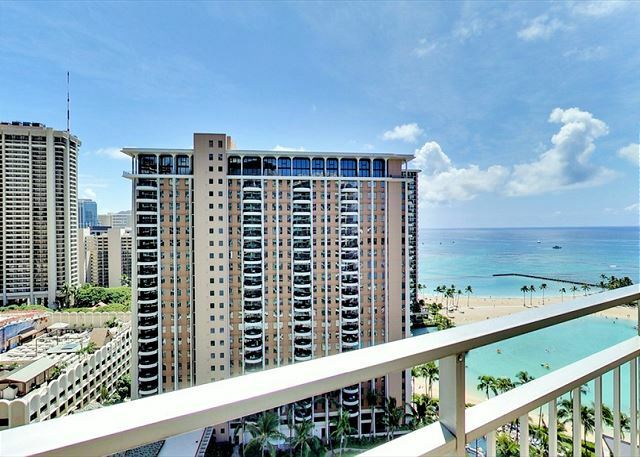 Located on the 16th floor of the famous Ilikai Hotel. 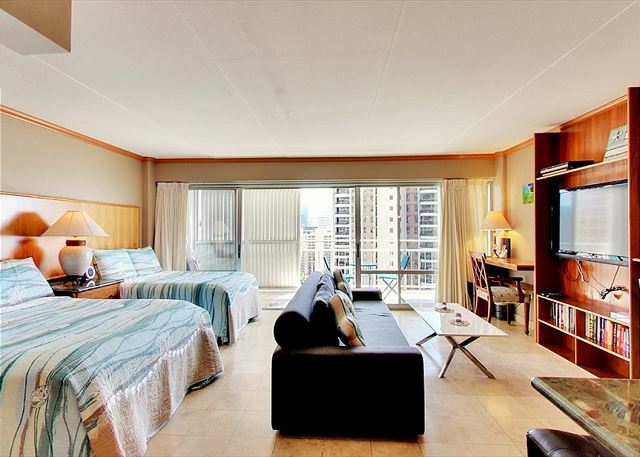 An private unit located on the 7th floor of famous ocean front Ilikai Hotel. 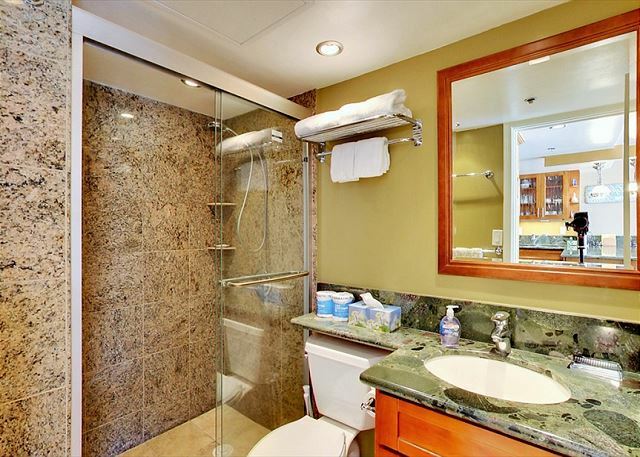 Clean and equipped for relaxing stay.